University Health Partners in Hawaii is currently recruiting for staff for the state's only public hyperbaric facility capable of treating decompression sickness. At present, this invaluable center, operated by the University of Hawaii‘s John A. Burns School of Medicine, has had to temporarily close, following the departure of the facility's last doctor. According to a UH press release, the center has provided seven divers with a total of 17 treatments since July 2017. In the previous year (July 2016 - July 2017), 45 divers received a total of 57 treatments. University of Hawaii's dive safety officer, Dave Pence, said that Hawaii is a renowned research hub for marine biologists. "These staff shortages are a concern to both the scientific and recreational diving community. At present, approximately 200 University of Hawaii divers conduct 3,500 research divers per year in our seas, and the University regularly holds advanced diving expeditions in the area. These expeditions will need to be cancelled because there is a risk of decompression sickness. Understandably, the students are not happy. They have been working towards these expeditions for a couple of years. Currently, it looks as though we will have to shelve about a third of our research dives because of the closure of the hyperbaric center." The state's hyperbaric chamber is ideal for visiting and domestic divers alike, because it has multiple locks and chambers. Pence added: "Having a chamber with multiple locks is vital because it allows physicians to physically access the chamber should an emergency occur, such as a heart attack or seizure. 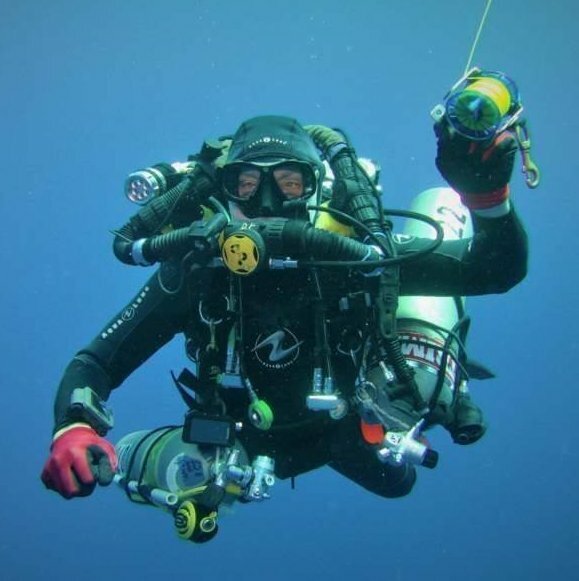 Every well-educated diver understands that no matter how safe a diver you are, it is quite possible to suffer from decompression sickness, even when the proper protocols have been precisely followed. I am personally aware of the quality of the treatment offered by the UH Chamber because I was treated for a DCI in 2000, following a perfect 152m (500ft) dive to recover a lost research instrument. Upon surfacing, it felt as though someone had shoved a hot knife through my right shoulder." Hawaii is a popular recreational diving destination. The state's department of business reported that, in 2015, 44 percent of American visitors and 17 percent Japanese visitors said they had snorkeled or scuba dived during their holiday. Jerrod Kowalski, Aqua Lung Pacific's general manager, said "divers are aware of the consequences of decompression sickness, and if they are diving in an area without pressurized transportation or hyperbaric treatment options, people understand there is an additional risk. They may feel less comfortable, and it could impact their desire to do as many dives." Further information on the medical director and physician vacancies at the University Health Partners Hyperbaric Treatment Center can be found here.